BOLD is an acronym for Business Objective: Life by Design. Among the many concepts discussed was the one about programming. That is, how we end up programmed from a very early age by our environment; chiefly the people who influence us from a very early age: parents, teachers, friends, siblings, and others. In fact, one statistic that was discussed was that 75% of all impressions we receive are from birth to age 7. So by the time we are 7 years old we are already “programmed” to view the world and act a certain way. The end to our actions are the results we get in life. The mind is an incredible and vulnerable organ. The instructor further explained the process by a concept known as PTFAR. The following is a visual of the concept. It is a powerful notion. 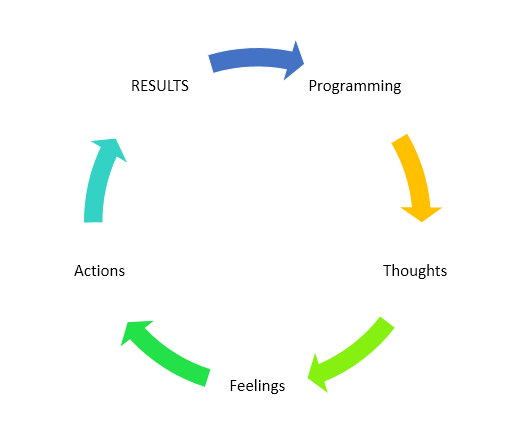 Observe how your current behavior (actions) have led to certain results, which are the results of the programming that has taken place up this point in your life. The amazing thing is that YOU can decide to re-program yourself. Simple. Not easy. The first step is awareness. Once you know that there are forces that are vying to influence your thoughts, hence programming you to act a certain way, you can turn it around. Imagine that you now have a sentinel guarding the doorway of your thoughts. “Above all things, guard your heart because out of it come the issues of life.” This is a biblical reference, but you can easily interpret it in light of this programming concept as follows. We need to guard our minds because what we allow dictate the results we get in life. I was able to prove this today. A month ago I started to post a monthly newsletter on a Yahoo group I belong to. The content is purposefully not directly related to my Real Estate practice, but intended to be a resource to home owners and neighbors. The articles range from crime prevention to the latest economic news. About an hour following the posting, I received a message from one of the group members claiming that my articles were “advertising” and [in her opinion] “junk Mail.” I paused and began to process her comment. I could feel the need to defend myself rising; the result of prior programming. However, I decided to step back and observe my emotions. I concluded that her opinion is a result of her own programming and not my reality. So I promptly stepped away from the keyboard and decided I did not need to respond or defend myself. A small triumph perhaps AND the beginning of re-programming. 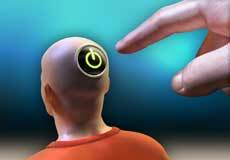 So who is reprogramming you? You’ve heard the familiar metaphor. Who is pushing your buttons? “YOUR life is the result of your beliefs.” In other words, YOU chose your programming. It is possible, so put that sentinel to work for you. Be careful who you allow to influence you. Once you realize the power you have over your own life, you will “progressively” begin to make conscious choices that affect the results you want in your life.